If you’re searching for a high quality automatic blast gate, you’re in the right place. 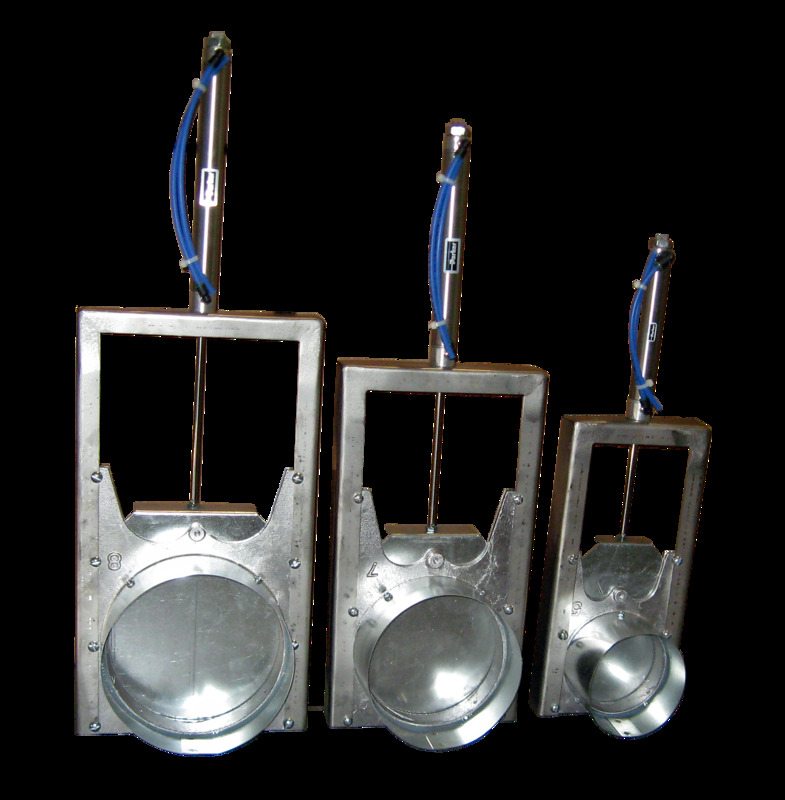 At US Duct, our industrial blast gate systems are easily some of our most popular solutions. With a wide variety of offerings, we are prepared to fulfill all of your requirements. When you choose our automatic blast gates, we can provide almost any size from 3” and up. Our products are available in aluminum, galvanized, and SS housing. We can also supply you with an automatic blast gate with airtight construction. One reason that our products are so successful is the fact that they are work horses in the “green” arena! Electronically controlled and pneumatically operated, these blast gates provide air only when needed in specific areas. That means that you aren't using any unnecessary power. Our products also optimize and minimize the CFM used for collection. This technology can be incorporated into one machine, or it can be linked to several to create a 1-on and 2-off scenario. In addition, these automatic blast gates can be linked to a pressure sensor, a PLC, and a VFD in order to control the fan depending on the total system air requirement. The pneumatic cylinders of our automatic gates require 90 psi to operate but use very little volume. An electric solenoid directs the flow of the air to the cylinder for opening and closing. The solenoid is activated by virtually any electrical signal– 12/24 V AC/DC, or 110/220 line voltage. The solenoid operates off of milliamps and therefore requires only minimal wiring. Hook up to anything that becomes ‘hot’ when the gate is required to be open (or closed). If you like, you can see an Automatic Blast Gate in operation at this link.. Since we understand the vast opportunities as well as the limitations of these products, you can trust us to develop a system that will work effectively and efficiently in your space. Need More? Read About Standard Gates and Blast Gates!